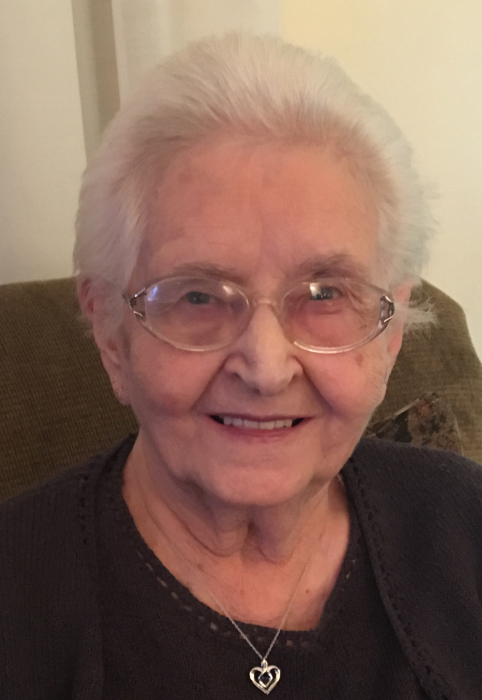 Gladys Schneider, age 91, of Fargo, ND, died Thursday, January 24, 2019, at Bethany Retirement Living, Fargo. Gladys Graf was born September 30, 1927, at Streeter, ND, the daughter of Samuel and Emma (Himmerich) Graf. She received her teaching certificate from Valley City State Teacher’s College (VCSU), and taught country schools for 6 years. Gladys married Leo E. Schneider on November 23, 1949 in Kintyre, ND. Four children were born to them, and they made their home at Kintyre until June 2010, when they moved to Fargo. Leo died November 20, 2010. Gladys was involved in the church and Sunday school at Trinity Lutheran in Kintyre. She was the Campbell Township Assessor for over 20 years and she had served on several different boards of the Kintyre Credit Union for 30 years. Gladys also did housework and painting for people in the community. She is survived by three children, Kathleen Kraft, Diane (O’Niel) Strom, and Dennis (Patty) Schneider; her sister, Violet Hendrickson; 8 grandchildren and 7 great-great-grandchildren. Gladys was preceded in death by her husband Leo, her son Tim, her parents Emma and Sam Graf, brothers Arthur, Edwin and Alton, and her son-in-law, Dennis Kraft.